Lead PI on Project "Georgia Computes! ", an NSF Broadening Participation in Computing Alliance. PI on :Expanding Computing Education Pathways (ECEP) Alliance, an NSF Broadening Participation in Computing Alliance. PI on :CSLearning4U Project, which aims to create computer science "ebooks" for teachers and students to use in learning CS at a distance. My Publications:My ACM Digital Library papers can be found linked here. My AniAniWeb Homepage: Less formal, more information, including videos -- updated more often. 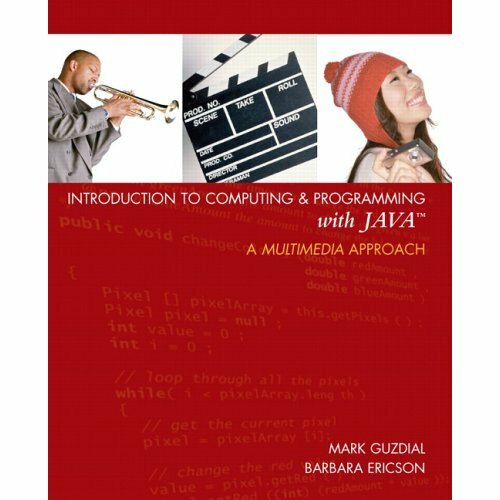 Learning CS through a Media Computation Context. The Media Computation teachers website is complete and a useful tour of Media Computation resources. CSLearning4U project to develop new distance learning media for computer science by high school teachers. My WordPress Blog on Computing Education..
My AniAniWeb (personal wiki) and My (older) Personal CoWeb where I put all kinds of stuff. Contextualized Support for Learning Lab Website! Information on Media Computation is available: . Papers: Older Papers Available on-line Newer Papers http://home.cc.gatech.edu/csl/Papers. Media Computation papers and talks. My CV as of November 2016. Mark Guzdial is a Professor in the College of Computing at Georgia Institute of Technology. Mark is a member of the GVU Center. He received his Ph.D. in education and computer science (a joint degree) at the University of Michigan in 1993, where he developed Emile, an environment for high school science learners programming multimedia demonstrations and physics simulations. He was the original developer of the CoWeb (or Swiki), which has been a widely used Wiki engine in Universities around the world. He is the inventor of the Media Computation approach to learning introductory computing, which uses contextualized computing education to attract and retain students. He was vice-chair of the ACM Education Board, and still serves on the ACM Education Council, as well as on the ACM SIGCSE Board. He serves on the editorial boards of ACM Transacctions on Computing Education and Journal of the Learning Sciences. His blog on Computing Education is active, with over 500 pageviews per day. He and his wife were awarded the 2010 ACM Karl V. Karlstrom Outstanding Educator Award. He was awarded the IEEE Computer Society Undergraduate Teaching Award in 2012. In 2014, he was named an ACM Distinguished Educator and a Fellow of the ACM. Mark Guzdial's current research centers on facilitating student learning through student design, construction, and analysis of artifacts. Philosophically, he is a constructivist, even a constructionist, but he sees a need for support to enable and facilitate a student's construction of artifacts and knowledge. One way of looking at what Mark is working on is collaborative Dynabooks. He wants to achieve the Dynabook vision (of Alan Kay, Adele Goldberg, Dan Ingalls, of the Xerox PARC Learning Research Group in the 70's, and then the Disney Imagineering Media Research Group, and now Viewpoints Research) of a learning machine for developing computational media (where programming itself enables a new kind of a medium). He adds to that vision a desire for a collaborative environment where media can be easily created, shared, and distributed by groups. If you're a student and interested on working on a project with me, please check out my mini-projects list. (Updated occasionally!) In general, you'll find my AniAniWeb (think "personal Swiki") is more updated than this page. Overview of the Contextualized Support for Learning Lab. This is the best place to find the latest on all the projects I'm involved in. Media Computation. The site for teachers is http://coweb.cc.gatech.edu/mediaComp-teach. Be sure to visit the Reports page on MediaComp-teach to see the latest published papers from a variety of institutions on Media Computation efforts. CSLearning4U. We are creating a new distance-learning medium for computing education especially for in-service high school teachers based on ideas from instructional design and educational psychology. In-service high school teachers are particularly time-constrained (and thus need efficiency) and they are more metacognitively aware than other students (and thus able to better inform the project design). The new medium will combine multiple modalities, worked examples, and structure based on cognitive models of designers' knowledge. The research questions are that (1) the teachers will learn CS knowledge in the on-line setting, (2) the teachers will be more efficient at programming tasks, and (3) the teachers will find the materials useful and satisfying. Because of its focus on teachers, the project can potentially have broad impact, in particular on the strategies for training the 10,000 teachers envisioned in the CS 10K Project. The project will establish models and design guidelines that can be used for the creation of other learning materials, including materials for students in, for example, the proposed new CS Principles AP course. OLDER NOWCollaborative Multimedia - The Squeakers: The Georgia Tech Squeakers are inspired by Alan Kay and Adele Goldberg's vision of Personal Dynamic Media -- the computer as a meta-medium that supports composition of all other media from text and graphics, to audio and animation, and beyond to computational media. Our particular focus is on collaboration: Simplify the sharing, composition, and distribution of metamedia across networks. We use the programming language Squeak, hence, the group name. The Swiki or CoWeb which was invented here is still available at http://wiki.squeak.org/swiki.